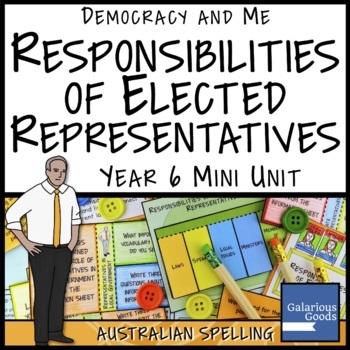 A government in Australia mini unit exploring the responsibilities of elected representatives (politicians) in Australia and the characteristics of an effective representative. 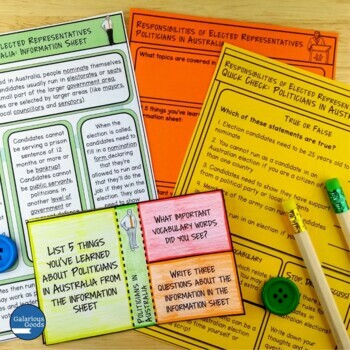 This mini unit includes fact sheets, activities, discussion tasks, task cards, an interactive flipbook, an assessment piece and marking rubric. 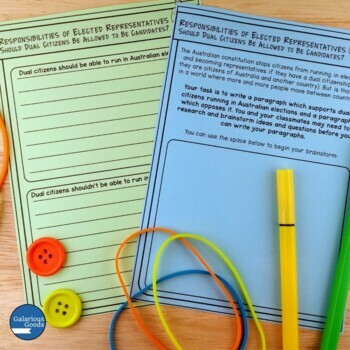 This resource contains Australian spelling in A4 format. 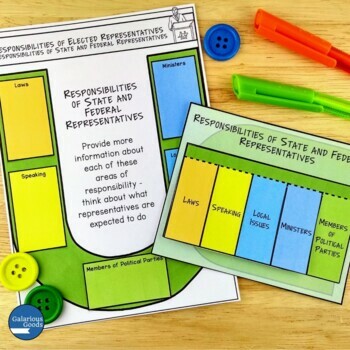 It is a PDF file, 54 pages long.